In a survival situation, getting access to needed supplies and materials as well as tools is an extremely high priority. It is a high priority because the easier we make it in terms of accomplishing survival tasks, the greater the possibility we will make it out in one piece. Unfortunately, a survival situation does not always offer us the easiest access to the stuff we need to make your survival job easier. 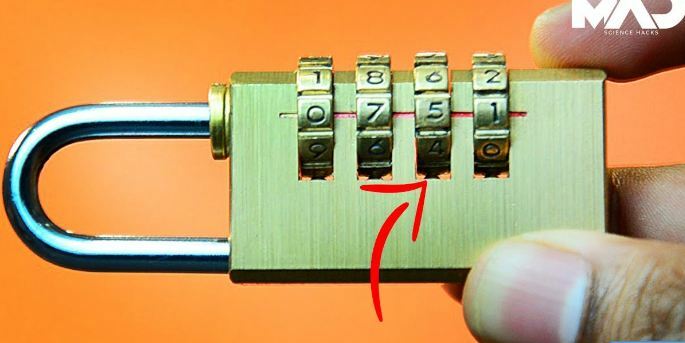 If that is the case and if we are faced with a numerous padlock, we do have one fairly easy hack we can use to open the lock. It requires precision as well as a good ear, but working our way through the combination is possible with a little patience. The video on the next page shows us how!